There is nothing worse than having a hangry toddler in your back seat with miles left to go until you reach your destination. This may seem like a gimme, but I can’t stress it enough; make sure you have a sufficient amount of snacks and water! 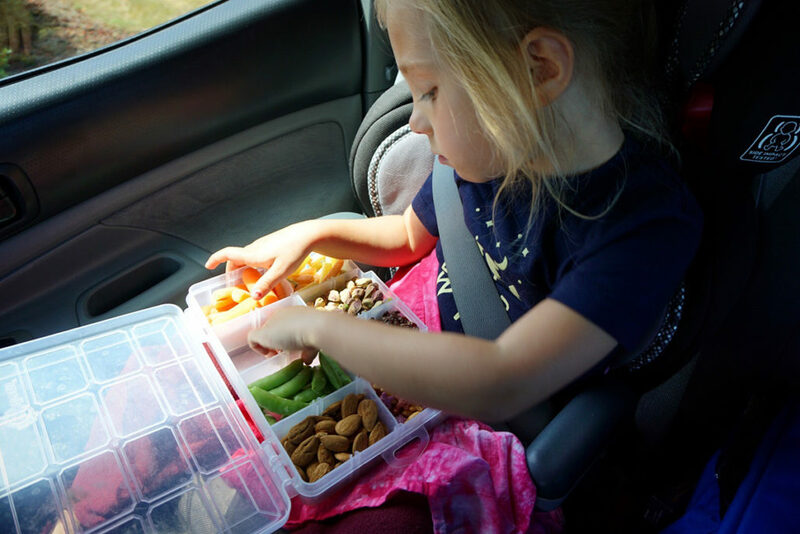 Prepare snacks and drinks ahead of time, as it can be difficult to find non-gmo, healthy options while on a road trip. Not only will food prep save money, but it always saves time . . . plus no one wants to eat an old soggy apple from the gas station.